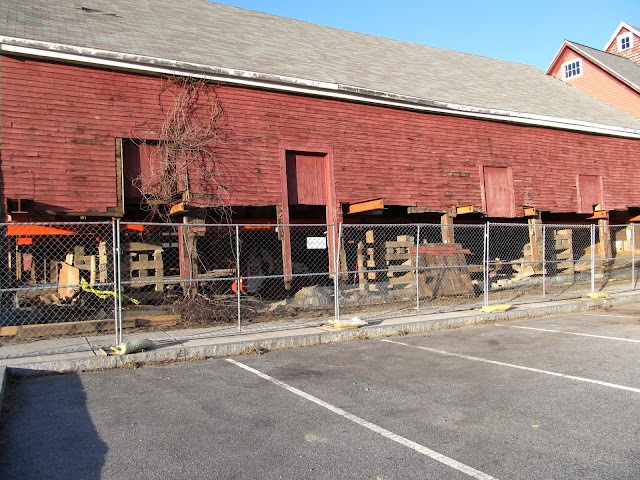 The building where The Bikeway Source is located at 111 South Road across from Depot Park is undergoing renovation. The back portion of the building is over 100 years and was originally a barn. It was thought that the barn was moved many years ago and combined with the existing front portion of the building which was a grain bin. The existing building is being shored up so a new floor can be poured. 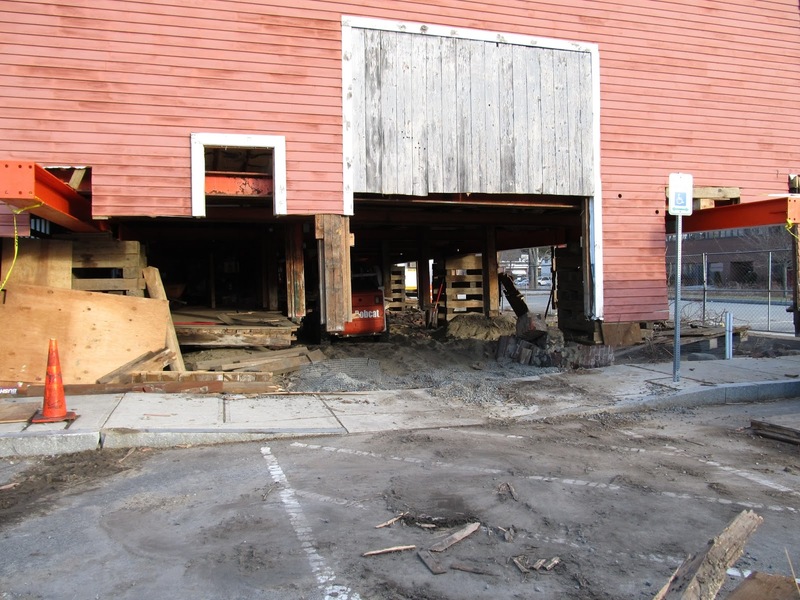 According to Ken Larson's the building owner, the building is getting a new foundation and footings under the building. They will then put in a new floor. As part of the project, The Bikeway Source will get a new HVAC system. The project will also result in an additional 1800 square feet of retail space that will become available for rent. The project is expect to be completed by early Spring. Ken also mentioned he is looking to add solar panels to the roof as well as on the roof of a warehouse he owns further down Railroad Ave. His goal is to power both of those buildings completely on solar energy. While no changes are being made to the footprint the building, it's renovation will result in additional space being available for retail. 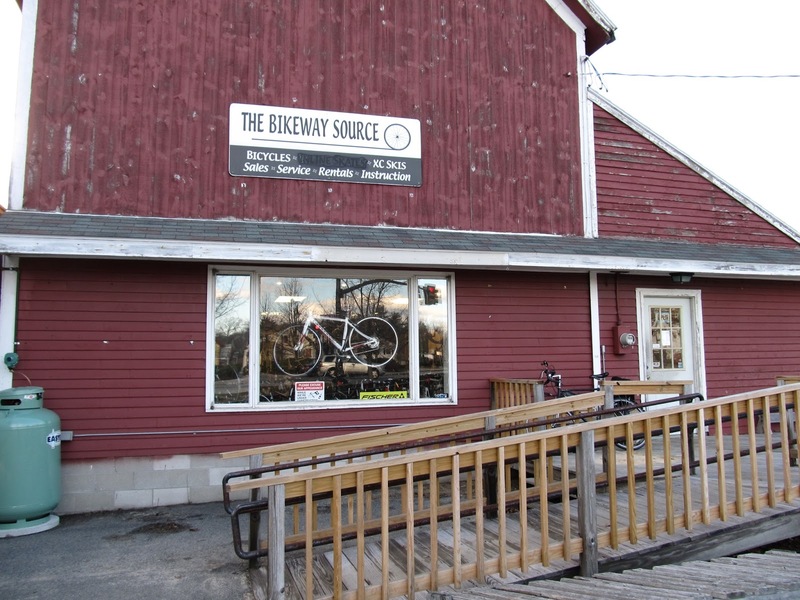 According to The Bikeway Source, once construction is complete they will expand the size of their showroom and reorganize the rest of their space. The Bikeway Source is been in their existing location for about 15 years. This building has become some ramshackle in the past few years. 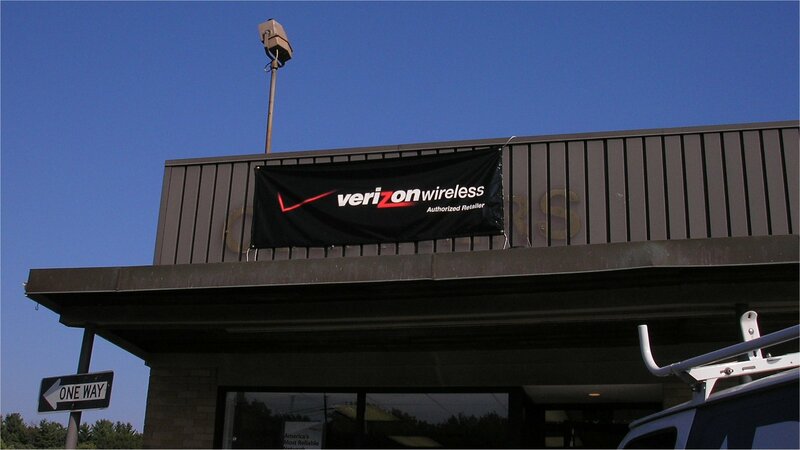 It's great to see the owner making a long term investment. These improvements and additional retail space should help accelerate the redevelopment of the Depot Park area. 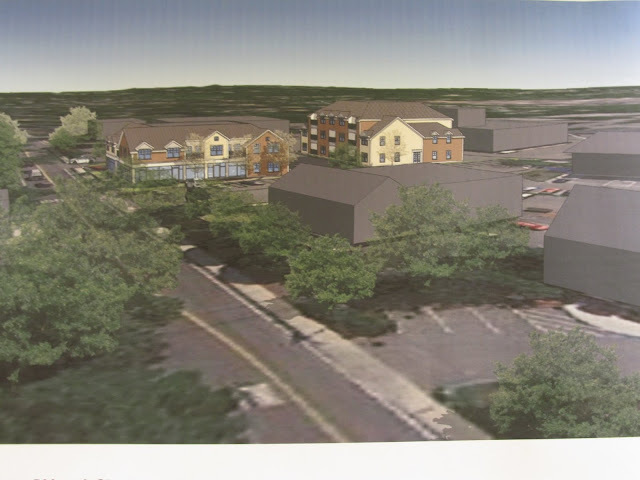 Here are some updated images for the 54 Loomis Street mixed use project. As previously announced, the updated plan now has two building. The building closest to Loomis Street (in these images) is expect to have just under 3,000 square feet of retail space. View from Loomis Street. Most of the retail will be visible from the road. Please click on these images for a larger view. Another view from Loomis Street. In front of the building is the crosswalk to the Narrow-Gauge Rail-Trail that heads to Billerica. As part of the project, the developer is expected to add a walkway connecting both buildings to the Minuteman Bikeway. Based on feedback and concerns from the local neighborhood and the planning board, some changes have been made to 54 Loomis Street. The project is now 2 buildings. The first building is 2 floors with 2860 square feet of retail space on the first floor. The second building is 3 floors and is made up of 1 and 2 bedroom apartments. The proposed project now has a total of 23 apartments (11 One Bedroom and 10 12 Two Bedrooms), down from 30 apartments while the amount of retail space has tripled. Depiction of the 54 Loomis Street project based on Google Earth. This perspective is looking North East on Loomis Street from Depot Park. The glass on the first floor of the building closest to Loomis Street is where the retail would be located. Other building are depicted in gray to show scale. I expect redevelopment in the Depot Park area to continue. The combination of the Minuteman Bikeway along with the improvements to Depot Park has made this an attractive area for retail and housing. There is still a large amount of vacant office space on DeAngelo Drive. With the bikepath and the bus route from Alewife, this area might be a place to market to technology companies that need to attract younger workers that live in greater Boston. One easy change to help make this happen would be to rename DeAngelo Drive to something like Technology Drive or Innovation Way. A third version of the mixed use development for 54 Loomis Street will be unveiled next week. According to the developer, this new version is a major redesign based on feedback and concerns from the local neighborhood and the planning board. The new plan will be a mix of residential and retail. Stay tuned for more details next week. According to Massachusetts Public Notices, a Subway Restaurant is looking to open at 168 Great Road in the Great Road Marketplace. The most likely location would be the former Verizon Wireless Store which closed suddenly last March. Bedford seems to be undergoing a boom in new restaurants. With the addition of Subway, there are 7 restaurants planned/under construction. This includes b.Good, Chipotle Mexican Grill, Ginger, Ken's Deli, Panera Bread, Subway and Wicked Good Frozen Yogurt. While a restaurant had been planned for the former Travelodge, this is currently on hold. Can Bedford support all these new restaurants? What do you think?